Tourist-filled locales like Fisherman's Wharf are not always known for good taste—and that goes for the food as well as the kitsch-filled shops. That may be why Franciscan Crab has succeeded so well since it pulled ashore in 1957, "like a docked yacht waiting to head out to sea," in the words of restaurant critic Michael Bauer of the San Francisco Chronicle. The food, by most accounts, is fairly good, especially the crab (when you can get it). Also winning praise have been the Caesar salad and fish and chips. The views of San Francisco Bay, Alcatraz, the Golden Gate, and the hills of Marin County are outstanding of course—but so is the architecture, in a deliberately over-the-top manner. 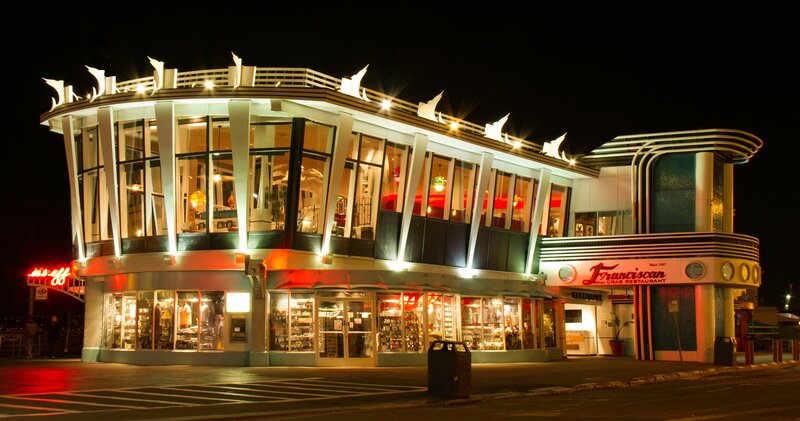 It's a tourist town version of architecture-as-advertisement, not unlike Googie coffee shop architecture. 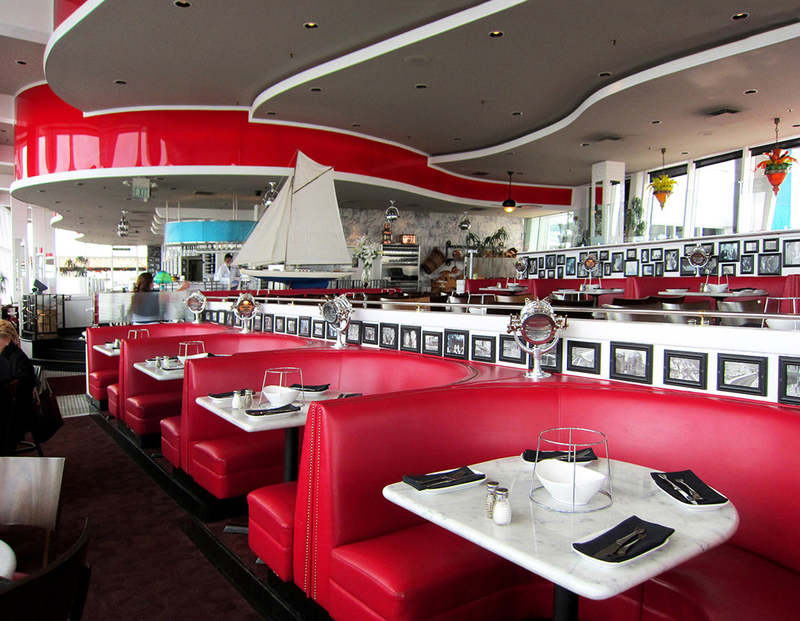 "Why shouldn't a statuesque seafood restaurant look like a glassy ocean liner pulling into port? The gimmick is delivered with such a straight face that it's easy to miss the prow-like shape of the front, or the dancing fish that form a cornice line," the Chron's architecture writer, John King, has wondered. The architect behind this glass-walled design, Hewitt C. Wells, may not have been prolific, but he was bold. For a Reno library he arrayed books and reading rooms on floating islands around an immense multi-level indoor garden.